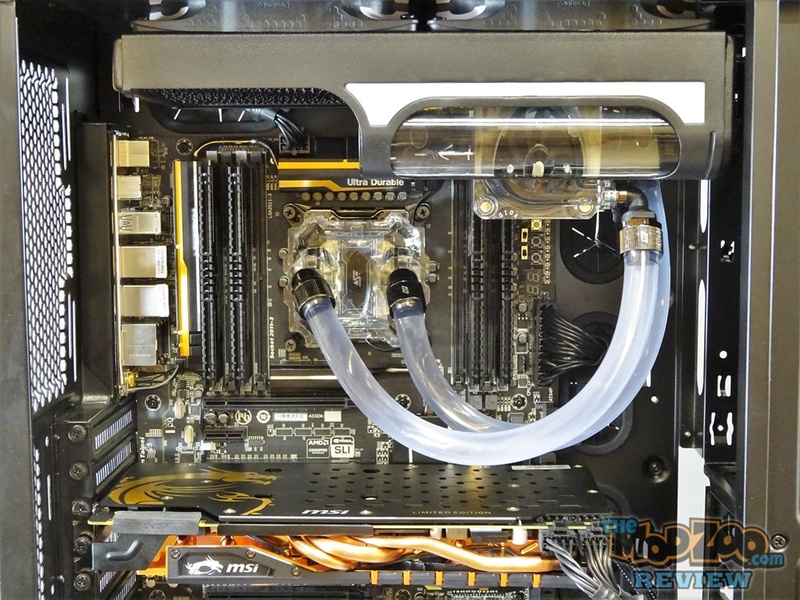 Greg (PCpackrat) from MunkyMods, takes a look at Swiftech’s newest revision of their AIO Liquid Cooling Kit! For more than a decade, Swiftech has been known as a leader in liquid cooling for personal computers. Swiftech has spent years designing award winning heatsinks, reservoirs, co-designing pumps (in an exclusive agreement with Laing Pumps), and producing All-In-One liquid CPU cooling kits. With names like H2O Ultima, and H2O Edge, these All-In-One (AIO) kits gave you a complete liquid CPU cooling loop, but, with the possibility of expanding it to cool your GPU. In the past, the H2O Ultima and H2O Edge kits had no style, with the bulky reservoir on one end, and the pump on the other end. This also meant you needed extra room to fit the whole rig. After the H2O Ultima and Edge Kits, Swiftech did a full redesign of their AIO liquid cooling kit. The H2O X line, which included the H220 X, H240 X and H320 X had a new style. The reservoir (clear acrylic) was now on the front, bottom edge of the radiator, with the pump right behind the reservoir. This made the unit more compact, reducing the total length, to roughly the same length of a standard radiator. Now you could use this kit in more cases, with less fitment problems. Today we will take a look at the new Swiftech H2O Drive X2 series of AIO liquid CPU coolers, which is an update to the H2O X series. The Drive X2 line consists of the H220 X2 (Two 120mm fans/240mm), the H240 X2 (Two 140mm fans/280mm) and the H320 X2 (Three 120mm fans/360mm). 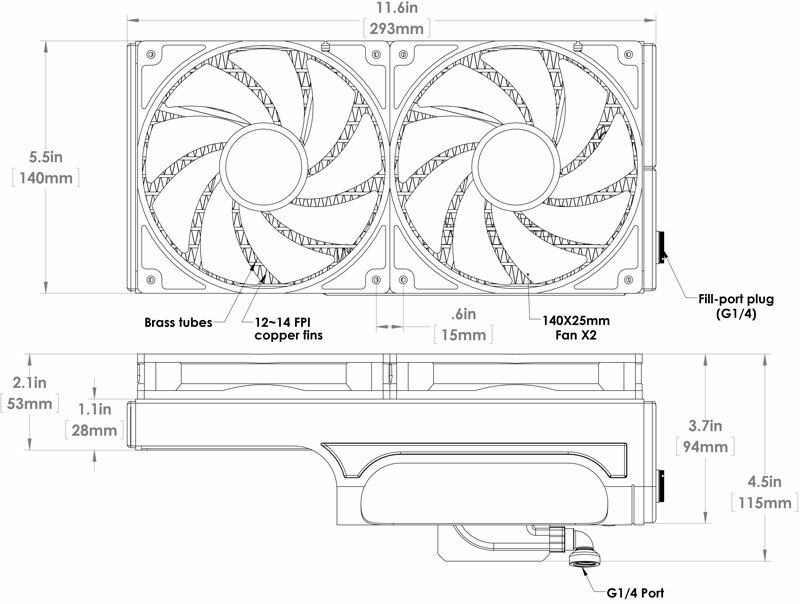 The part number convention is “H”+ the number of fans (“2” or “3”) + size of fans (“20” for 120mm or “40” for 140mm). Each of these models is also available as a “Prestige” model. The Prestige kits include better fittings (compression instead of barb/clamp fittings) and better fans (“Noiseblockers” in stead of standard). So today, the unit we are testing, is the “H240 Drive X2 Prestige kit”, a 280mm radiator with two (2) 140mm Noiseblocker fans.